Question: Are there any liability issues in denying an employee an unpaid leave of absence (such as the reason for the absence)? Can an employer demand an employee use up all paid vacation before considering a leave of absence? If an employee continues to insist on a leave of absence, are there grounds for dismissal? Answer: Presumptively, an employee does not have any entitlement to a leave of absence, paid or not, unless such entitlement is founded on contract or statute. Therefore, without contractual or statutory entitlement, there is no employer liability in denying an employee an unpaid leave of absence. Further, assuming that the employer is prepared to grant a gratuitous leave of absence, the employer can insist that the employee use up all paid vacation for that leave. Employers recognize there are many circumstances which can trigger an employee’s entitlement to a leave, paid or unpaid. Statutory entitlements include those found in employment standards legislation relating to pregnancy leave, parental leave, bereavement leave, sick leave and compassionate care leave. 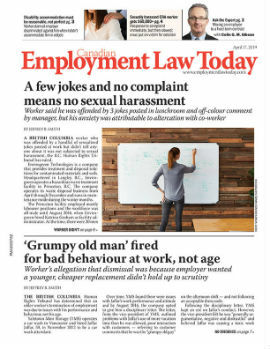 Human rights legislation may be engaged when the employee seeks an unpaid leave arising out a protected characteristic, such as religion, physical or mental disability, or family or marital status. The denial by an employer of a leave may be discrimination if such leave is properly founded in human rights legislation.